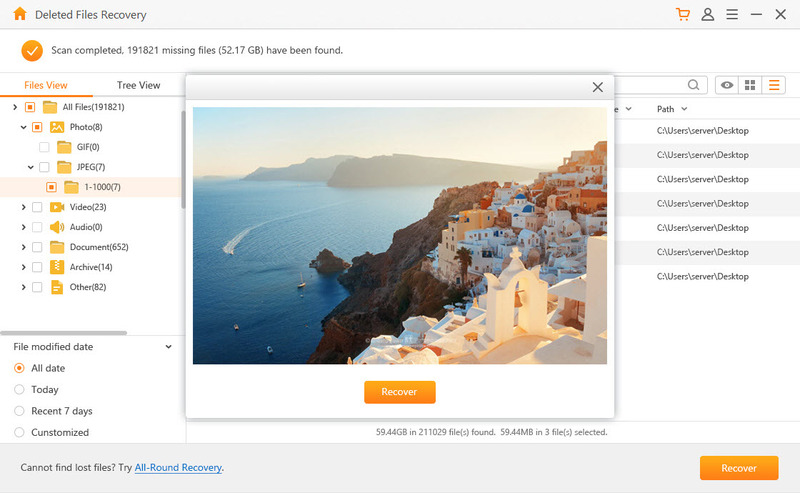 AnyRecover empowers you to retrieve any deleted, formatted or lost data from your computer or external device with ease. 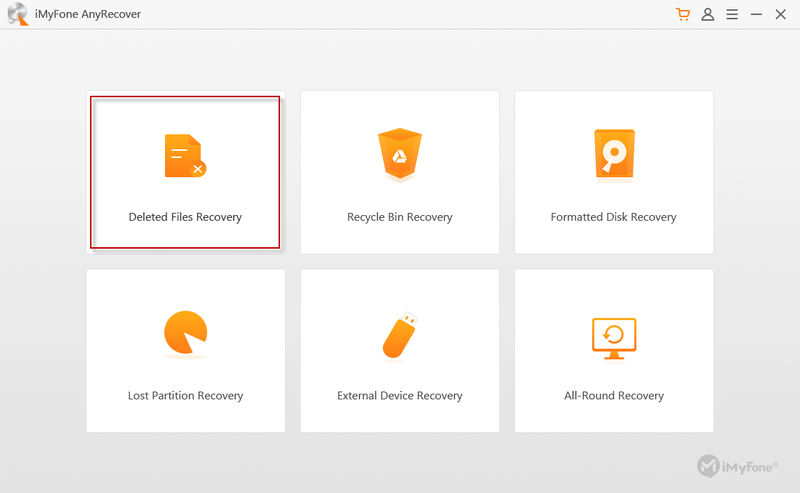 Launch AnyRecover on your computer and select the “Deleted Files Recovery” mode. To start finding data, select a location. You can select any location where you have lost data including Hard Disk Drives, External Removable Devices, or more specific locations. Once you have chosen a location, select “Next”. Next, select which type of files you would like to recover. 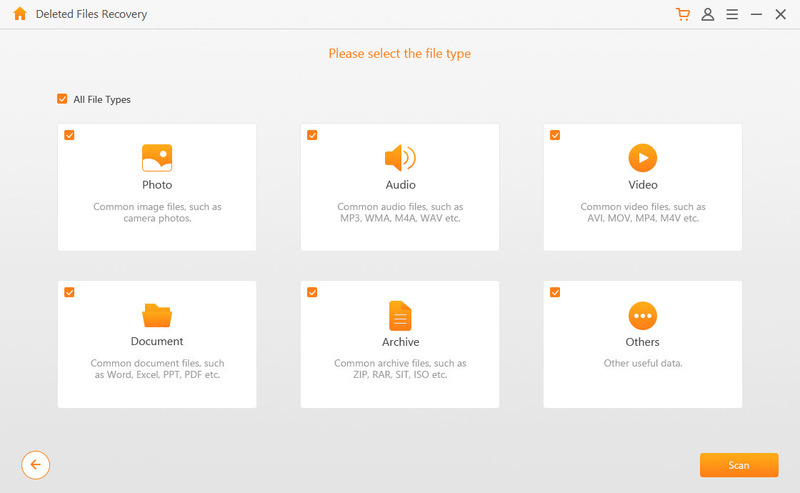 You can choose from Photo/Audio/Video/Document/Archive/Others to specify your deleted files. Once you have selected, click “Scan” to start the process. AnyRecover will start a quick scan on the location. After it finished, it will present you the results of your deleted files. 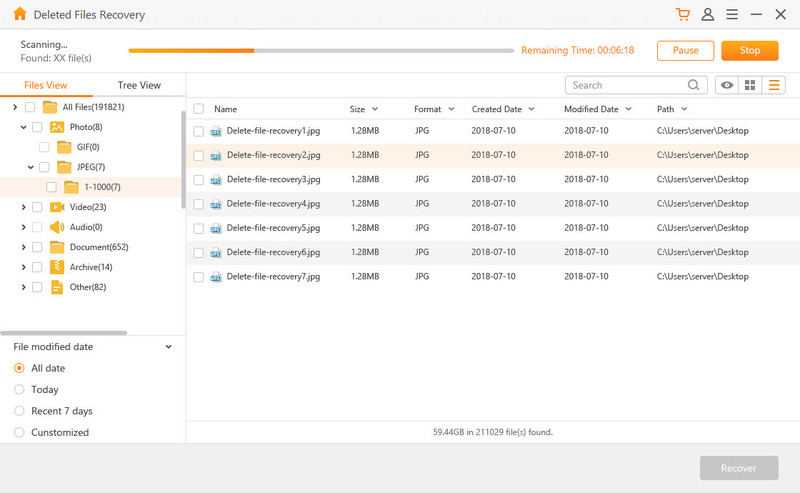 Once the scan process completed, AnyRecover will list all your deleted files. You can choose to preview before recovery. After you select the one you need to recover, click “Recover” to retrieve your data back. If you cannot find your lost files, you can try the All-Round Recovery mode. It will conduct a deeper scan of your location to search for more files, but it will take more time to complete. Note: Please do not save the data to the partition where you deleted or lost the data before.